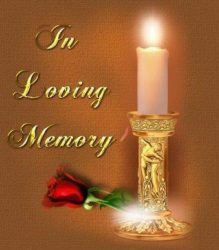 Memorial Service Monday, August 20, 2018 3 P.M.
Rosemarie was born December 26, 1931, in Bellwood, Nebraska to Anton and Theodora (Hendrickson) VanAmpting. She married Paul Bruckner on September 4, 1950. They lived in Omaha, Lexington and North Bend before moving to Schuyler in 1971. She was a homemaker. Rosemarie is survived by her children; Daniel (Joyce) Bruckner of Weslaco, Texas, Richard (Lettie) Bruckner of Parker, Colorado, Dale of Schuyler, Peggy (Ron) Sindelar of Fremont, daughter-in-law Peggy Sue Bruckner of Arlington, Texas, 11 grandchildren, 8 great-grandchildren and one great-great-grandchild. She was preceded in death by her husband, one son Michael, 4 brothers and two sisters.